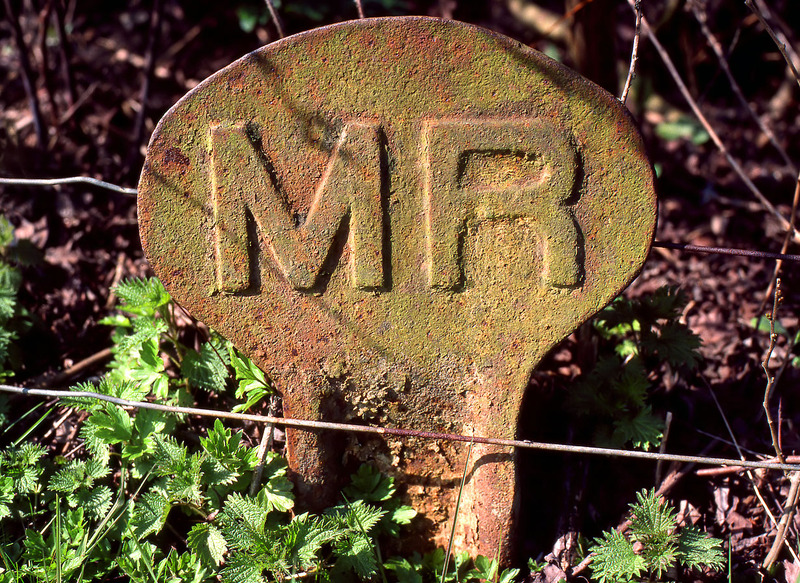 Numerous Midland Railway boundary posts still survive in remote locations. This one was pictured on 9 April 1983 near the River Avon at Eckington. The low spring sunshine and the sharpness of Kodachrome 64 film has resulted in possibly a century's worth of rust and lichen showing up clearly.